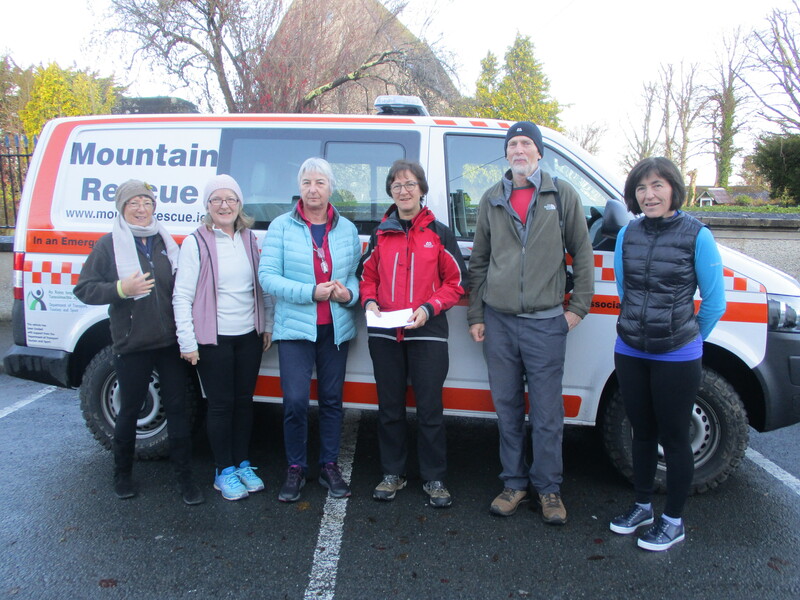 We made our annual donation to SEMRA, in Clogheen, at 9.30 in the morning, before returning to Baylough car park for the start of our walk at 10.00 am.
. 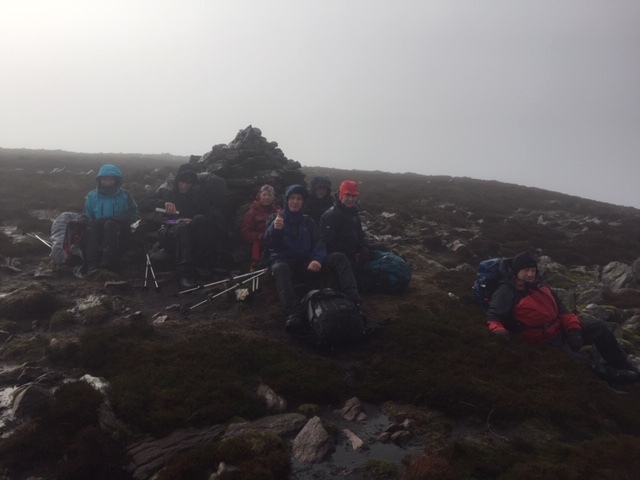 Eight of us enjoyed this exhilarating ridge walk, battling the elements the whole way. 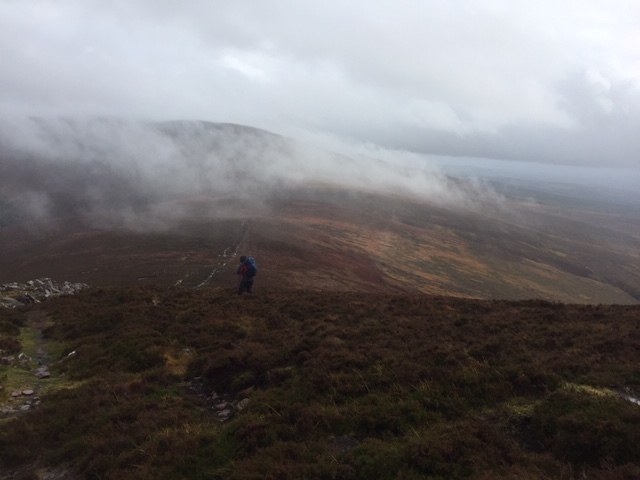 The start from Bay Lough was extremely cold and windy, so a smart pace was immediately adopted and maintained right across the ridge through wind, sleet, hail and rain. 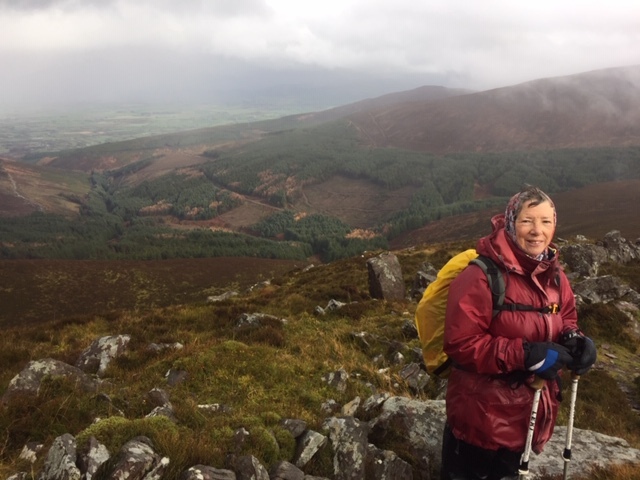 The dense cloud cover occasionally cleared to give tantalising views of the surrounding beauty, but compasses were much in evidence once we left Knocknangnauv. 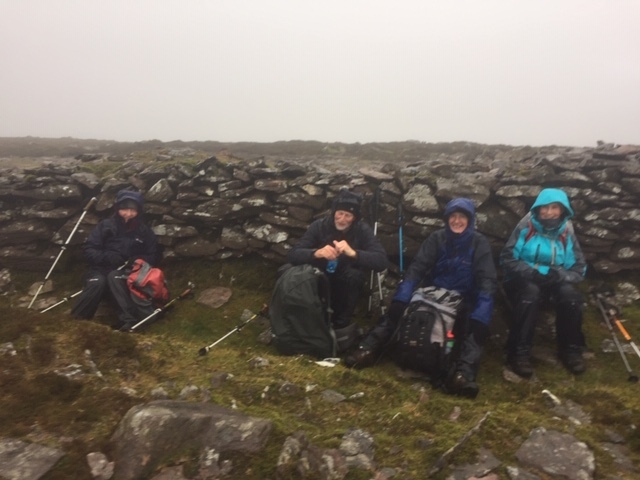 Tea and homemade cakes at the monastery café completed a challenging but very satisfying day.